Mazda as a brand is one that has continued to impress me over the past number of years. “Kodo – Soul of Motion” which is the design cornerstone of the Mazda’s currently on the market has served the brand well. This ethos is continued within the new Mazda CX-5. The CX-5 first entered into the market back in 2012 and quickly established itself as one of the strongest models within the Mazda range. The new Mazda CX-5 shows some subtle but notable changes in terms of exterior styling, interior design and technology. 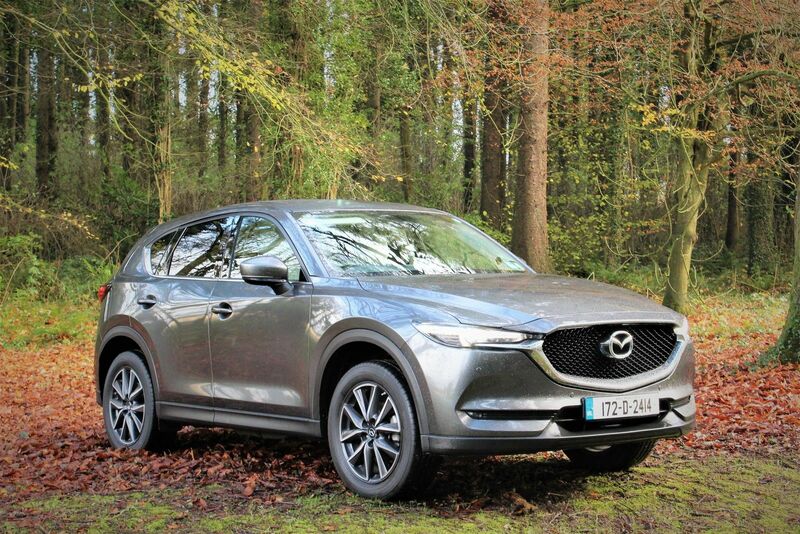 The outgoing model was a good-looking SUV so any changes which Mazda have made had to be well thought out so as not to upset the established customer base and still attract new buyers. The new CX-5 now carries a more sleek and sharper exterior appearance. 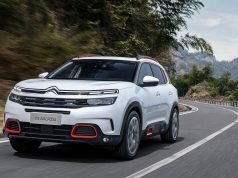 This is most notable at the front end with the large grille and slim headlamp clusters which flow along the bonnet line. 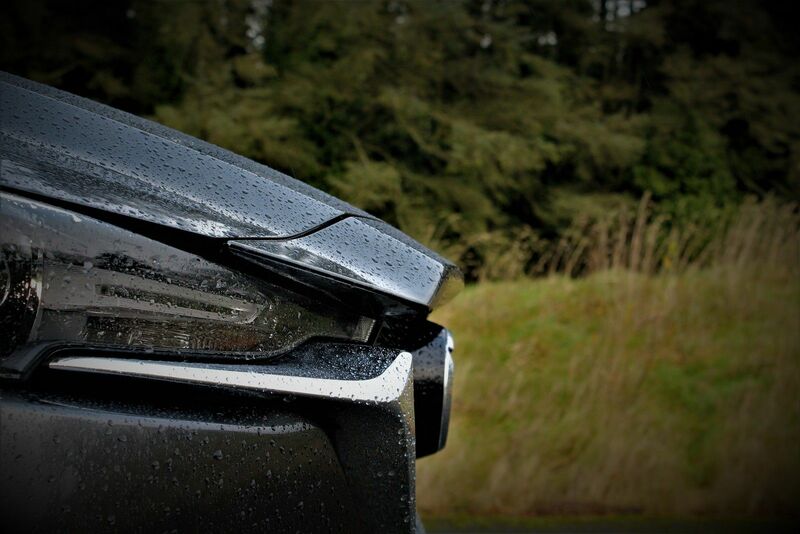 All models come with LED headlights and 17-inch alloy wheel as standard. Towards the rear the roof line has been lowered slightly resulting in the C-pillar tapering off presenting a more modern and dynamic appearance. Overall the CX-5 still commands a strong and confident appearance on the road. 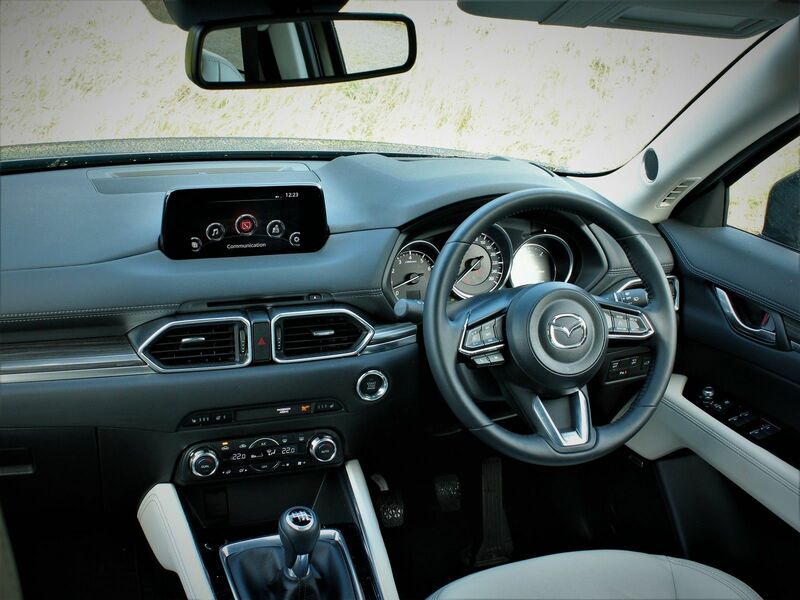 As you sit inside the new CX-5 you will be greeted by an interior that as always oozes comfort, refinement and a level of finish which amplifies the premium model that the CX-5 has grown to become. Soft touch materials give an excellent feel to the cabin and are common throughout. The horizontal design of the dash area means the interior appears wider. Space is never an issue inside the CX-5 with ample head and legroom in both the front and rear. Fitting rear or forward-facing child seats behind the driver’s seat is achieved with ease and without the need to adjust my 6-foot driving position. Boot space is also increased up to 506 litres which can be extended up to 919 litres with the rear seats folded. The infotainment system which is displayed through an integrated 7-inch colour touchscreen located at the top of the dash can be accessed with ease and the introduction of the rotary dial beside the handbrake makes it even easier without the need to stretch or fiddle with the screen. Whilst connectivity is achieved seamlessly it is a wonder why this system hasn’t been designed to offer Apple Carplay or Android Auto in this day and age. The Platinum trim of my test car also adds the bonus of the BOSE 10 speaker sound system which makes listening to music especially on those longer drives an added pleasure. The Platinum trim also adds 19-inch machined alloy wheels, the active heads-up driving display now to the windscreen rather than the old binnacle, the power lift tailgate, heated front seats and heated steering wheel, rear view camera, keyless entry and start along with a host of driver safety features. On the road the new CX-5 delivers in spades. 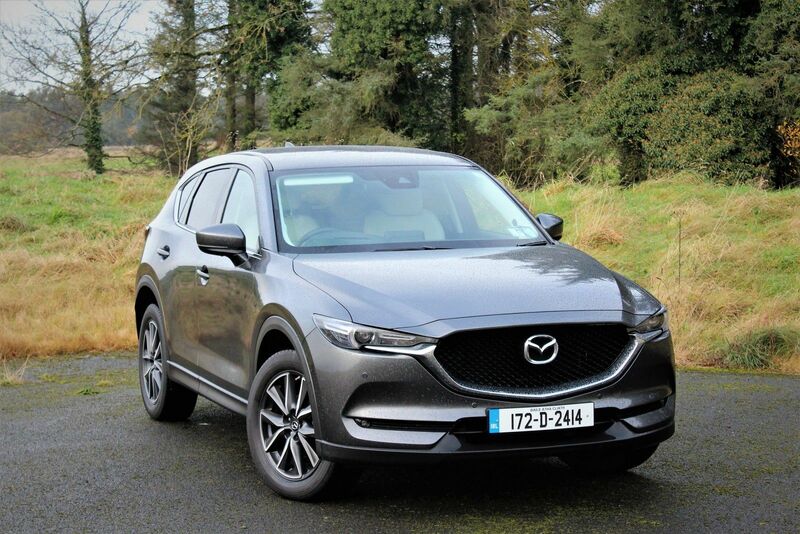 For quite some time Mazda have been recognised as being a brand that designs and produces cars that are brilliant to drive and the new CX-5 is no different. This isn’t an MX-5 but it never claims to be either. What Mazda have designed in the CX-5 is a chassis that responds to every corner providing a surefooted response to the driver all the while providing a level of comfort from within the cabin that is class leading. The steering whilst having a light feel is accurate and allows you to push the CX-5 on that little bit more than you would expect. Even in 2WD the CX-5 is very well mannered. 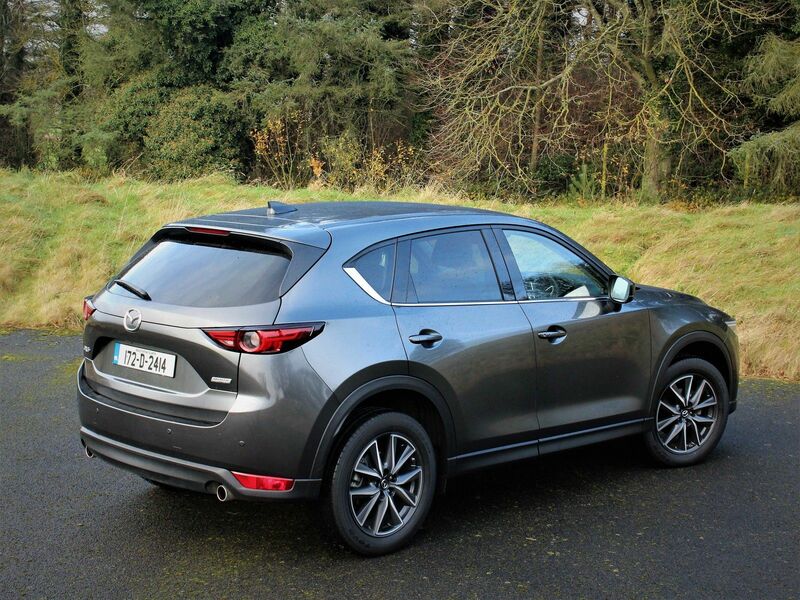 This is thanks to Mazda’s G-Vectoring control which subtly tweaks the engine torque whilst cornering to balance the CX-5 better. The 2.0 litre petrol engine which was the engine of choice for my test car performs well and the 165PS output of the engine is nicely paired with the 6-speed manual transmission. 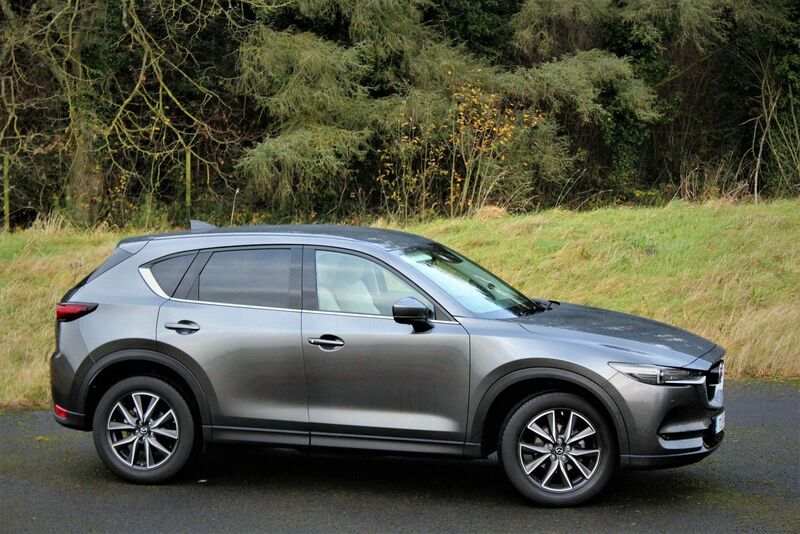 Mazda has gone to great lengths to reduce the noise levels encroaching on the cabin and they seem to have achieved this greatly with little or no wind or engine noises being heard from within even on open motorway drives. Personally, I would have to opt for the 2.2 litre diesel engine option over the 2.0 petrol if it came down to it. Whilst the petrol option is refined, economical and competent it just felt slightly underwhelming. This may be explained by the notable difference in torque between the petrol and diesel power-plants. 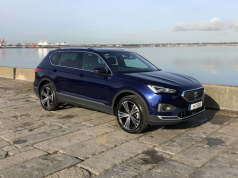 Maybe I have just come to expect too much but if you are in the market for a new SUV and the CX-5 is on the shopping list I would recommend driving both engine options before making up your own mind. Overall, the new CX-5 again provides a great alternative in a very crowded segment of the market. It has the ability to put it up even the stiffest of competitors in terms of exterior looks, interior trim, finish and space and reliability which has been proven time and time again.